Corbyn slams Israel at JW3; Admits he met Hamas. 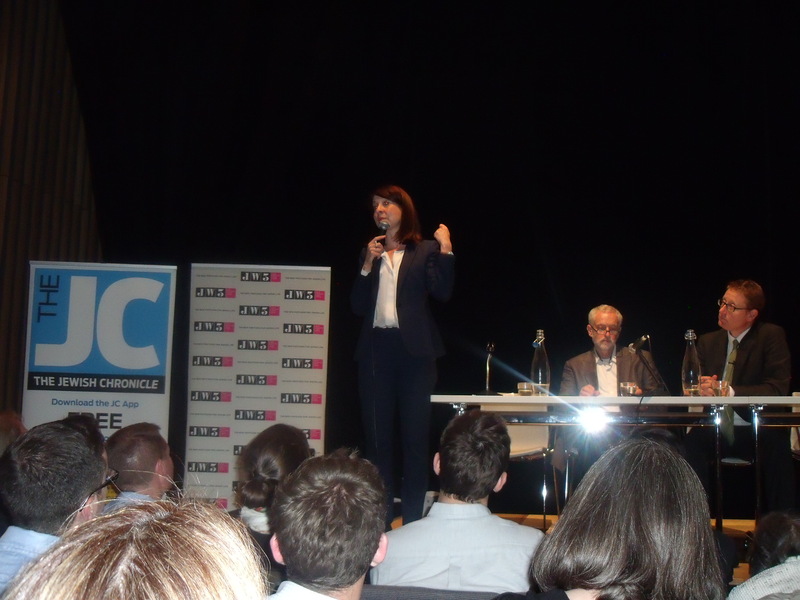 Jeremy Corbyn laid into Israel at the Labour Leadership hustings at JW3 on Monday night and admitted he met Hamas but said “you have to have talks with everybody to bring about a long term settlement”. In that case when will he meet Islamic State? Children in Israeli prisons? For anti-Israel activists a “child” is anyone under 18 and these “children” may have thrown stones at a car with intent to murder its occupants, so they are not necessarily as angelic as Corbyn seems to imply. Corbyn said he supported an arms boycott of Israel and a boycott of settlement products but said he did not support an academic boycott or an economic boycott of “Israel proper”. On the issue of calling Hezbollah and Hamas “friends” at a House of Commons event Corbyn claimed he was just being “inclusive” but said that didn’t mean he agreed with the “social attitudes, social policies or legal views of those organisations” and claimed he has made that clear to them when he has met them. 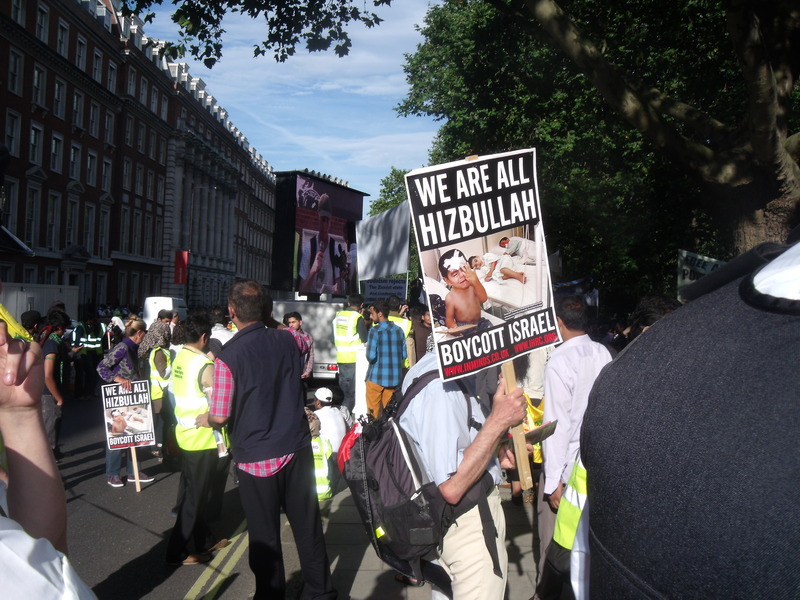 He was also asked whether he would withdraw his support for the Stop The War Coalition due to its sponsorship of the Al Quds Day annual demonstration through London where Hezbollah flags are waved and which is a festival of hatred. Corbyn replied that it is “not designed to be a festival of hatred”. 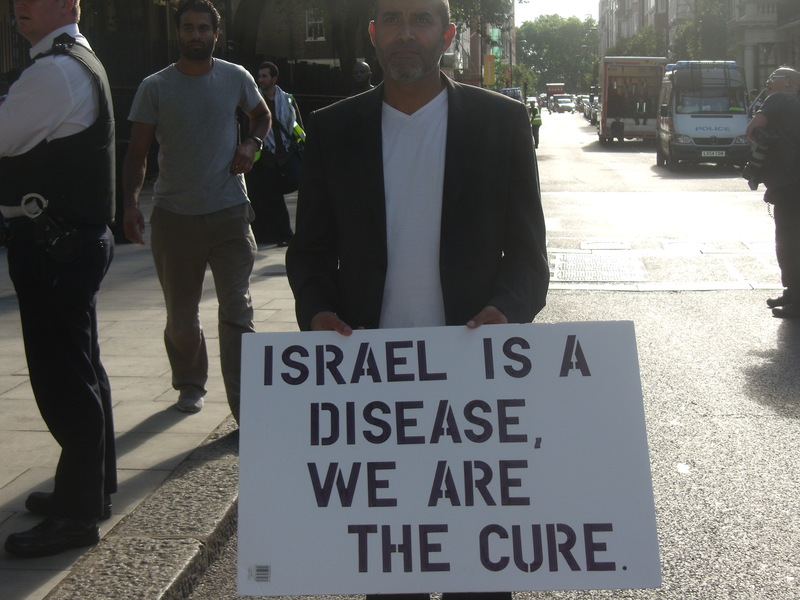 But placards that have appeared at Al Quds Day demonstrations include: “Israel is a disease, We are the cure“, “Listen Israel, Leave!! !”, “For world peace Israel must be destroyed“, “Israel your days are numbered”, “Death to Israel”, “The world stopped Nazism…the world must stop Zionism”. For an organisation of which he is the Chair he is pretty ignorant of the hatred it helps to incite on the streets of London. Corbyn also stated that the Balfour Declaration was “imposed by some of the Jewish members of the cabinet” at the time but has since backtracked to claim that he meant to say “opposed”. It is worrying that a potential leader can get something so wrong from what he meant to say. As for Liz Kendall, Andy Burnham and Yvette Cooper who are the other Labour leadership contenders they all condemned Corbyn’s use of “friends” to describe Hamas and Hezbollah. Cooper said that language is very important when discussing terrorists. Burnham said he would have sanctioned Corbyn for such language. Meanwhile, Burnham said that he had voted in favour of the “Palestine” recognition resolution last year only because the vote had been whipped by Labour but that the first country he would visit on becoming leader would be Israel. Kendall said that the vote was not whipped and that she had abstained because passing resolutions either at the House of Commons or the UN wasn’t the right way to achieve peace and a two state solution which should come about only via negotiations. She said she was a friend of Israel. Finally, there was a lot applause for Corbyn but that can be explained by the many anti-Israel activists I recognised in the audience including ex-Labour MP Martin Linton. 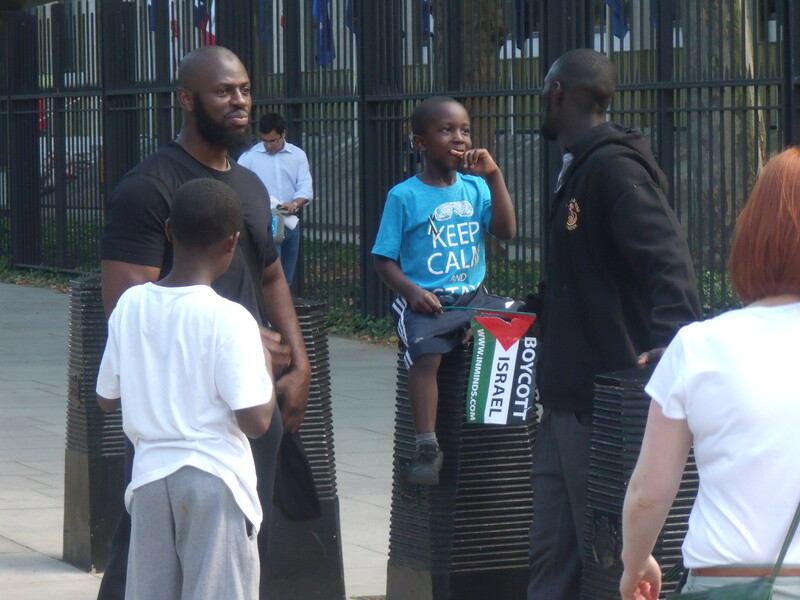 “Neo-Nazi” talks at Max Blumenthal’s anti-Israel event in Parliament: Clip Update. Last week I posted about David Thring, considered a “neo-Nazi”, who spoke at a Max Blumenthal event in the British Parliament about Israel. The event was sponsored by Jeremy Corbyn MP. Thring’s past behaviour probably needed more of an explanation so here is a clip of some of his past activities. In the beginning is audio of one of the organisers of the event warmly inviting Thring up to the stage to speak. Pertinent questions that the clip asks is why was a “neo-Nazi” invited by the organisers to speak at an anti-Israel event in Parliament and when will opposition to the Jewish state be seen for what it really is. 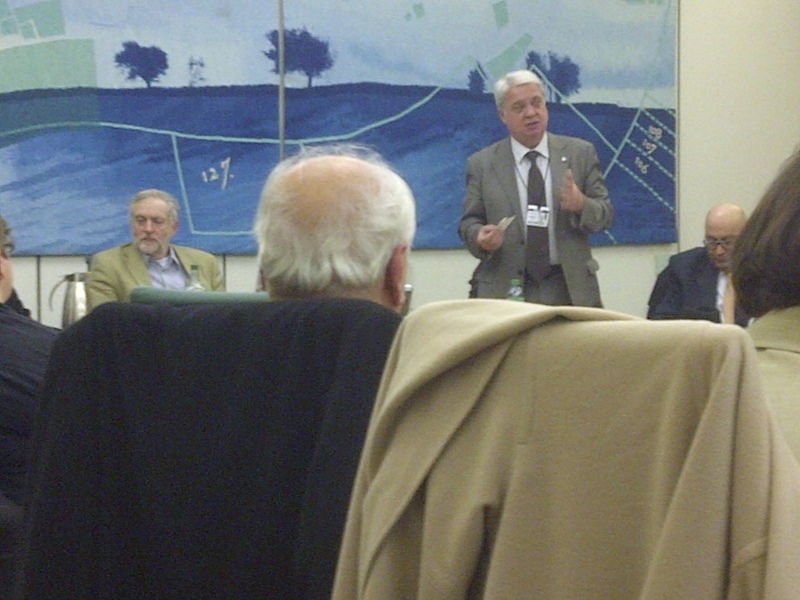 Jeremy Corbyn MP, PSC’s Hugh Lanning, Manuel Hassassian in Parliament last night. 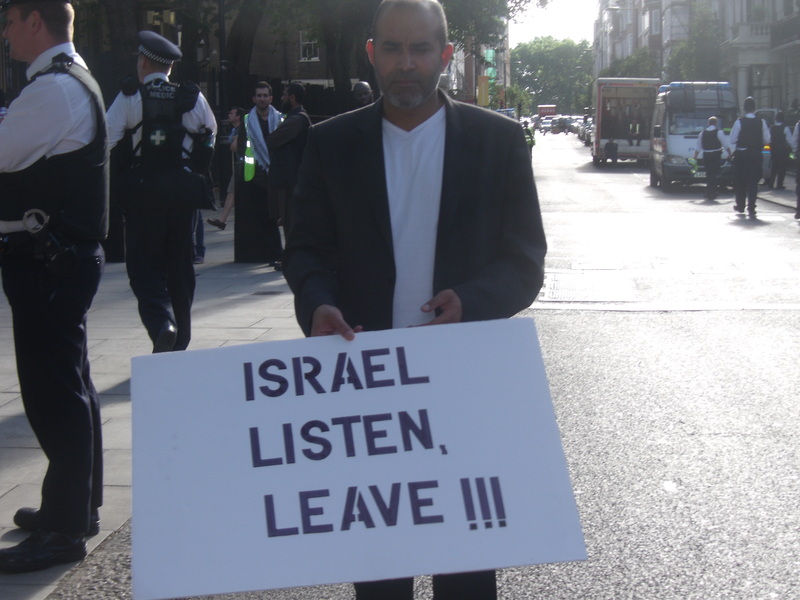 Last night Manuel Hassassian, the Palestinian “Ambassador” to the UK, said he believes that the Jews are the children of God because nobody is stopping them from building their “messianic dream of Eretz Israel”. He called for a “one state solution” and looked forward to the world’s Muslim population reaching two billion. 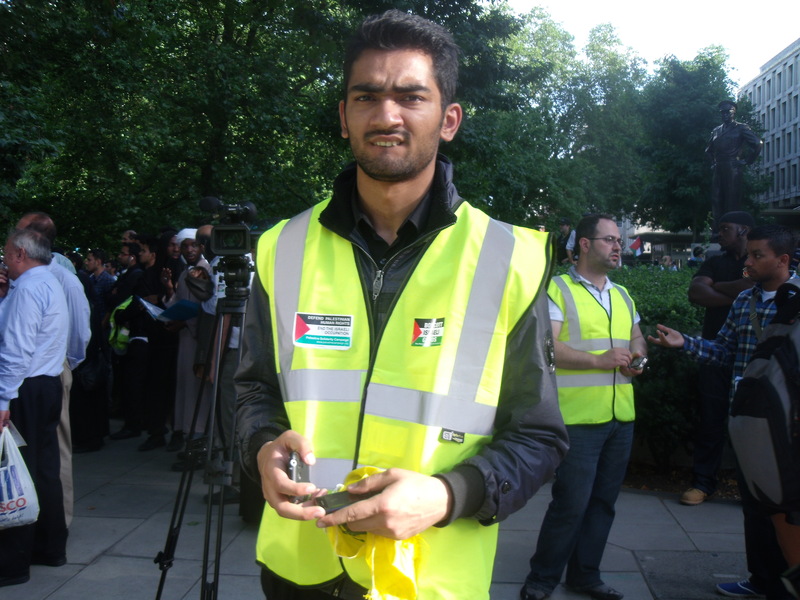 He was speaking in Parliament at the Palestine Solidarity Campaign’s 4 years on from Israel’s ‘Operation Cast Lead’: Israel’s siege and attacks continue. Also speaking were Labour’s Shadow Justice Minister Andy Slaughter MP and Liberal Democrat MP Sarah Teather. Labour MP Jeremy Corbyn played host. Andy Slaughter MP accused Israel of deliberately killing whole Palestinian families and controlling the Palestinians’ calorie count. He said Israel supplied Palestinians just enough to stop them from starving and he described, what he called, Israel’s failure to supply clean water, electricity and decent homes as “collective punishment”. Sarah Teather MP accused Israel of “wiping out five thousand homes” in one part of Gaza alone and that nothing could justify this. She said that Israel must let “basic goods” into Gaza. PSC Chair Hugh Lanning said he noticed that during Operation Cast Lead CNN only reported on the Hamas rockets. Lanning then claimed that “while the occupation and siege continues Israel is ALWAYS the aggressor”. He also claimed that Israel had banned 180 life saving medicines from Gazan hospitals “because they might save lives”. Jeremy Corbyn spoke about Gazans who had “never known the ability to move out of Gaza”. Ironically, he then introduced us to Rania Al-Najjar who has just completed a Masters in International Relations at London’s City University. Rania is from Gaza. She said, inter alia, that there are no economic opportunities in Gaza and that unemployment there is the highest in the world, relatively. We then heard from two “1948 Palestinians” who live in Israel. One of them had spent three spells in Israeli prisons, his sentences ranging from one to eight years. He spoke about the remaining prisoners who had forgotten what the sky and moon look like and how they had not touched the hands of their mothers or children for many years. Finally, Hugh Lanning announced that there will be a “controversial PSC conference” on April 13th where there will be “an open dialogue with the people of Gaza and their leaders”. In other words, an open dialogue with Hamas. 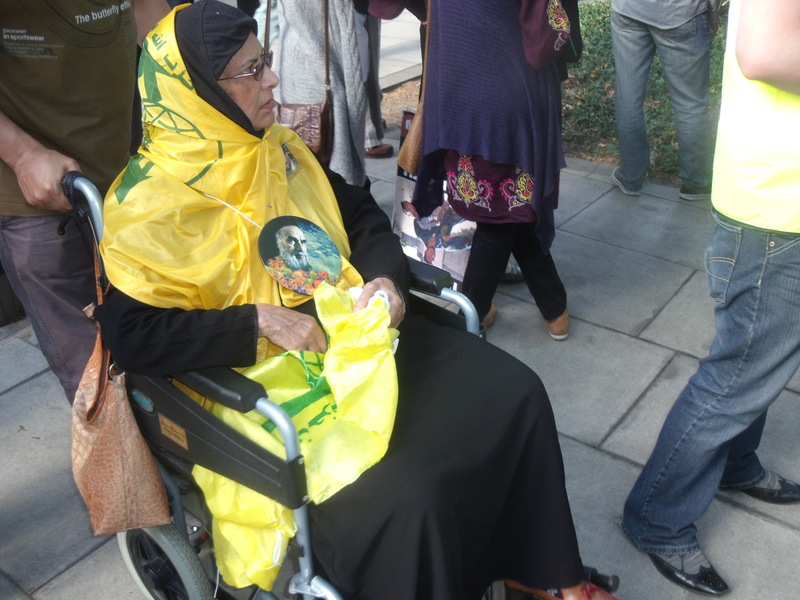 Hezbollah marches through London again on Al Quds Day. 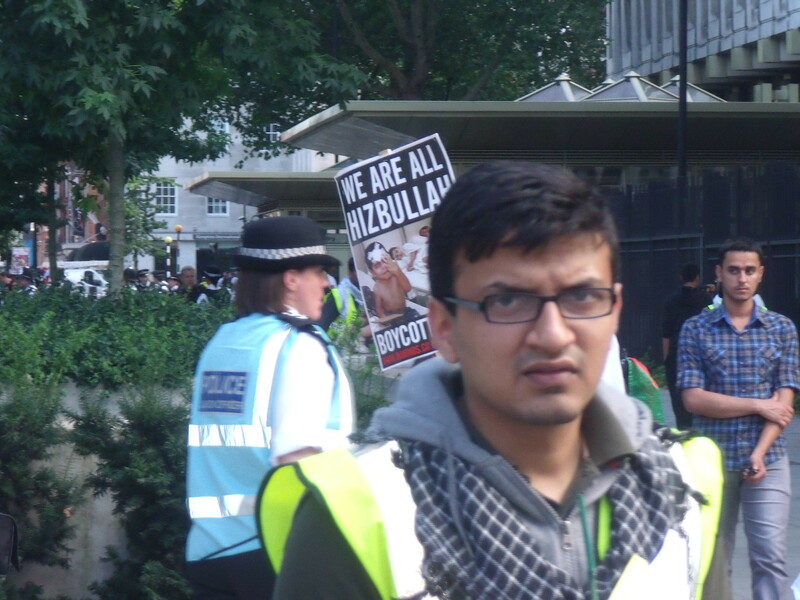 At Al Quds Day in London today. Remember during the Olympics when Britain celebrated how multicultural we are and how we accept people of all cultures and races? Well, it seems, the party is already over. Britain’s Jews are made to feel especially uncomfortable. 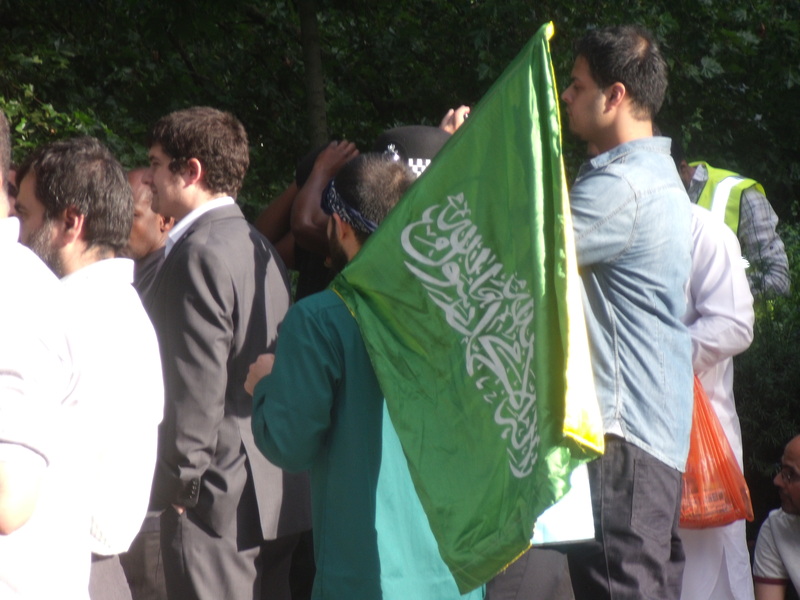 Today, yet again, Hezbollah supporters marched through the streets of London for the Khomeini inspired Al Quds Day. Instead of congregating in Trafalgar Square like last year, they assembled outside the American Embassy. Hezbollah has been involved in a worldwide campaign to murder as many Jews as possible. It started in Argentina in the early 1990s when both the Israeli consulate and a Jewish community centre were bombed by Hezbollah leaving hundreds of Jews and non-Jews dead and disabled. And recently in Bulgaria Hezbollah blew up a bus full of young Israeli tourists leaving many dead and crippled. This is all fully in line with Hassan Nasrallah’s statements that Jews are descended from pigs and apes and if the world’s Jews gathered in Israel it would save Hezbollah the effort of going after them worldwide. Last year Hezbollah activists held up signs proclaiming “Death to Israel”, “Israel Your Days Are Numbered” and “For there to be peace Israel must be destroyed”. 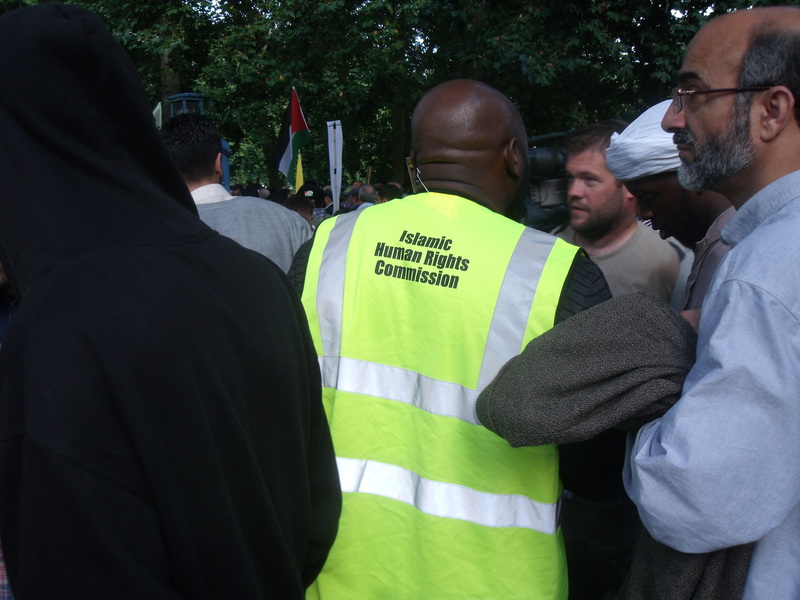 Today the disingenuously named Islamic Human Rights Commission, a registered charity, was allowed to repeat the exercise. And this year the march and rally were advertised on the back of some 400 London buses! I wasn’t there for very long today. Once again I was quietly trying to film proceedings. No one recognised me until an anti-Ahava activist tipped off stewards from the Islamic Human Rights Commission who jostled me and complained to the police who, in turn, ushered me away. After the assembled crowd was urged to chant “Zionism must go” and “From The River to the Sea Palestine Will be Free” I saw both Reverend Stephen Sizer and Labour MP Jeremy Corbyn address it. One has to ask why does Britain rightly ban groups like Muslims Against Crusades for causing public outrage but not Hezbollah which is actively attempting to murder Jews worldwide. Are Britain’s Jews deemed so dispensable? I think we know the answer by now. 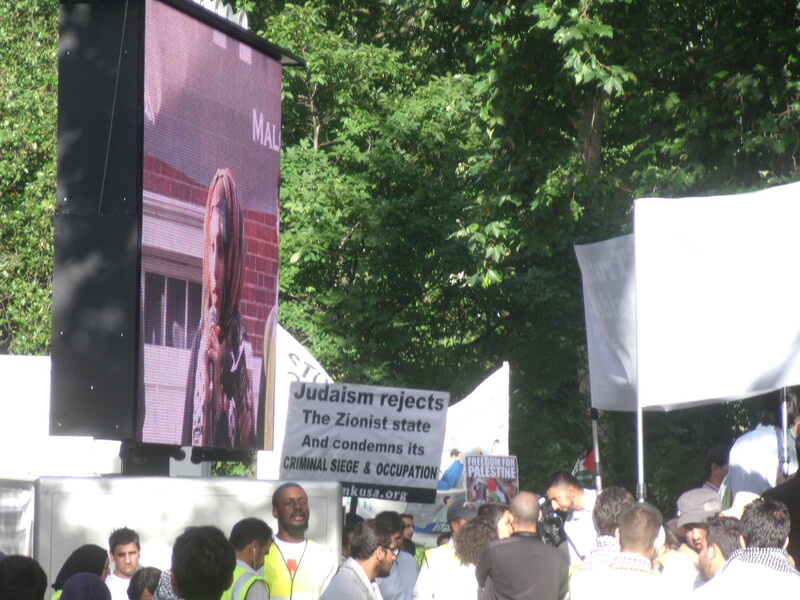 Al Quds Day London 2012. So much for “multi-cultural Britain”. Someone’s in love with Hezbollah. Racism descends on a sunny London. Neturei Karta at their usual pre-Shabbat hate-fest. Neturei Karta and Hezbollah; the perfect fit?